We’ve experienced many changes from living in a house to living in an RV, but nothing tests one’s metal like preparing a holiday meal. The first issue is scale. Our mini-kitchen has a mini stove, mini oven, and mini convection/microwave. We have next to nothing prep, stovetop, and cooking space. Worse, we discovered that our oven doesn’t maintain a consistent temperature. Hello. So, in addition to getting creative and organized about space, we had to think differently about cooking, baking, and roasting. The next issue is scale. We used to hand raise our holiday turkey. 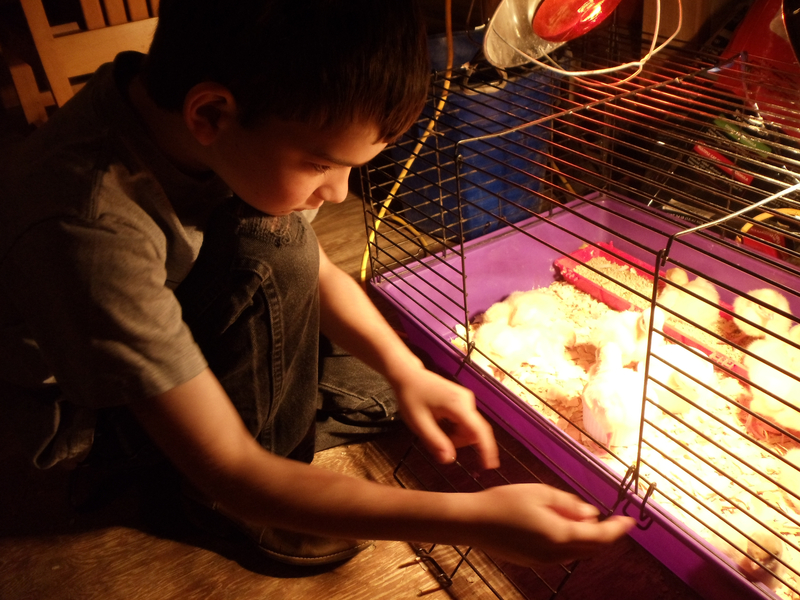 We bought our chicks in the spring, raised them through the summer, and harvested them in November. They ran all over the ranch and got fat on bugs- especially grasshoppers. 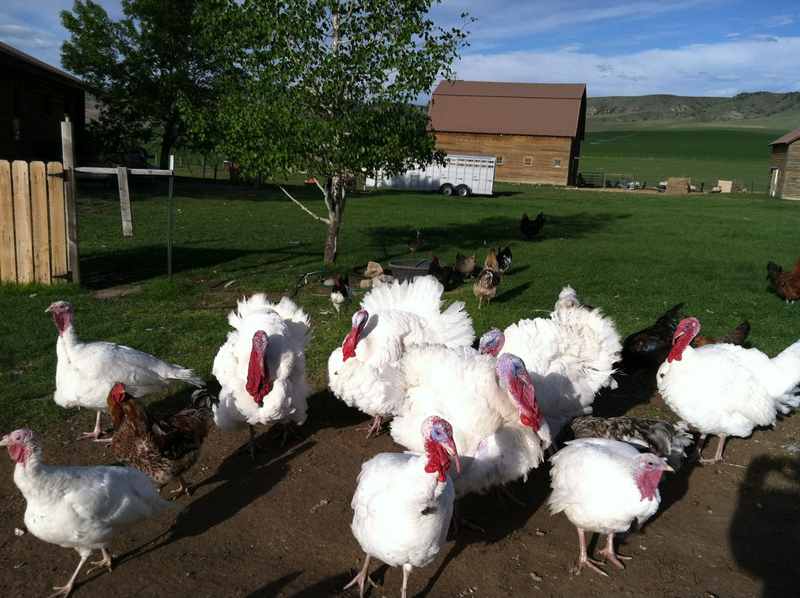 Inevitably, we grew some very big birds. They ranged from 35-55 pounds. Our record turkey was 64 pounds-dressed! We had to use a commercial oven to roast it. 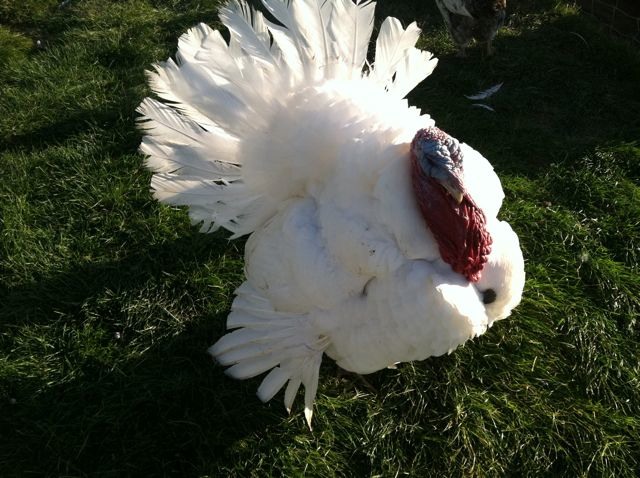 This year, we bought a 10-lb turkey. Ivan cut it up into pieces, seared the meat, crammed it into a pressure cooker with an onion, tossed in some seasoning, and cooked the whole thing in less than an hour. My eyes twitched the whole time, but it turned out GREAT! The next issue is scale. The stove top has three burners, but two pots barely fit on it simultaneously (Never three! Forgetaboutit!). I made stuffing, cranberry sauce, mashed potatoes, gravy, sweet potatoes, and caramel sauce in multiple stages (two food items at a time), by sliding pots back and forth over the burners. I used the microwave to make green beans. 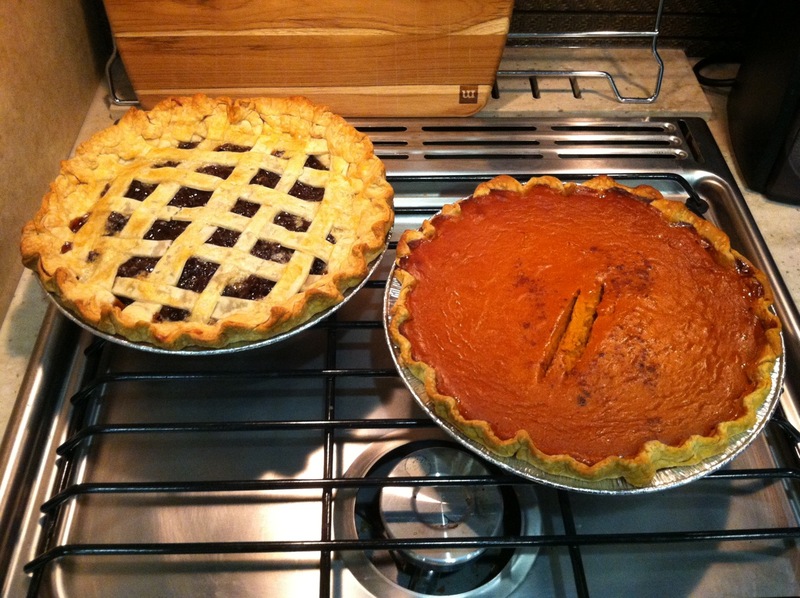 We broke all the rules… we even used ready-made pie crusts and disposable pie pans. The next issue is scale. Limited refrigerator space precluded us from making food ahead of time. Our meal turned out great… but we had to be strategic to overcome limited counter, cooking, and storage space.